Requirements for certification: learn how to effectively work with a Scrum team to take a product from idea to implementation. Beyond Scrum basics for maximizing business value: focus on Agile Product Management, Lean Startup, working with stakeholders, prioritization, and reducing risk. 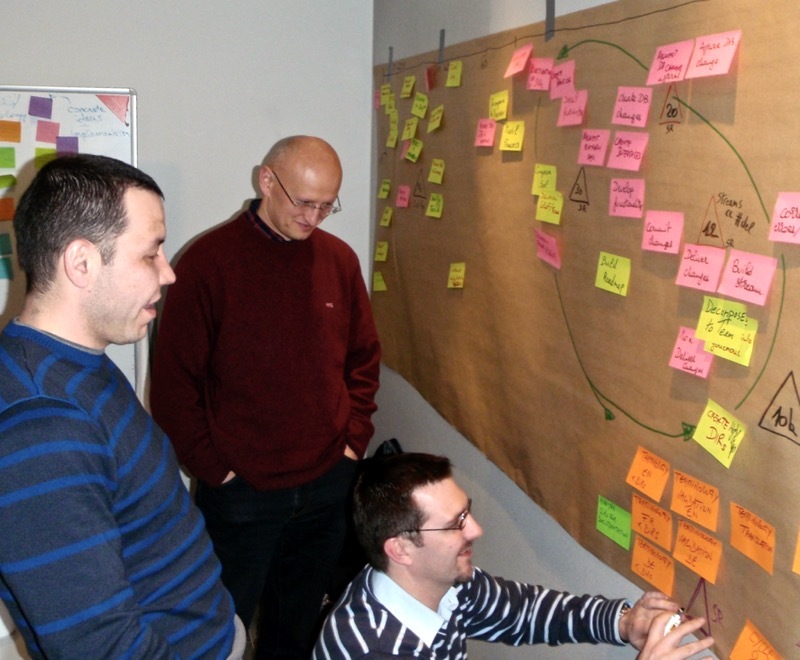 (For you or your team needing Scrum basics we recommend the Certified Scrum Master® course). Practical techniques applicable the next day: from business case to product backlog, learn real world examples, review case studies, do story maps & release planning, and deal with changes to the plan. Fun, interactive and enjoyable: our 2-day workshop style class delivers exactly the information you need, with great discussion customized to your needs. Engagement & collaboration with fellow students allows you to get feedback and practice applying skills and ideas right away. Our Innovel trainers are highly regarded Certified Scrum experts with real world experience in many project management and software methodologies. 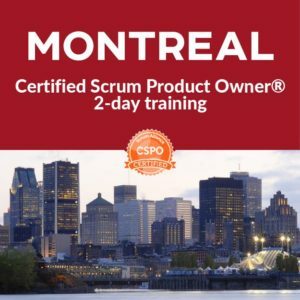 They have been using Scrum since 2002 and have trained over 4000 professionals throughout Europe, North American and Canada since 2006. Innovel's CSPO training makes responding to faster to market opportunities & creating better business results your new normal. I wanted to express my thanks to your enthusiasm and dedication to making this class valuable. I have attended many training classes in my career and I believe this is one of the best classes I have taken. The skills and concepts learned in this class will be immediately put to use and are applicable for anyone involved in software development projects. Thank you very much for your wonderful class and the materials. It is a great class. I thought of taking [Product Ownership] as my future career path. I learned a lot from your inspiring presentations, interesting activities and discussions. Thank you very much for your time and efforts. Having this occasion I wanted to thank you again for the training in Krakow. Really, the best training I’ve ever been to. Lots of possibilities to not only learn by your mind but, what is most important to me, to feel what empowerment means and the true power of a team. It was a great, unforgettable training! Interesting engaging knowledge that is difficult to find in books. Answers for questions with real life examples, concentrated on practical knowledge and tips. 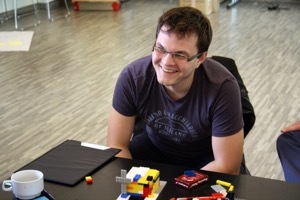 I would certainly recommend this course because it structures and builds further the knowledge of Scrum and presents persuasive business cases, supporting its implementation. Can I get my csm too? 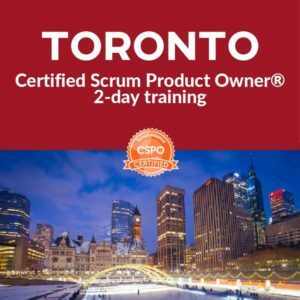 Should I Become a Certified Scrum Product Owner? The CSPO designation is the Agile certification businesses look for when hiring staff to lead new product development efforts. The CSPO is the start of the journey to become successful at Agile Product Management, Lean Startup and is a pre-requisite for a Certified Scrum Professional. With Innovel training, the CSPO course covers more than the basics as outlined by the Scrum Alliance. Our goal is to provide you with concrete tools you can implement the day after training in your company. Our students learn how to succeed with an Agile mindset, so they﻿ ﻿can handle the many ﻿changes﻿ in directions as they arise. When you leave an Innovel Certified Scrum Product Owner course you will have a new set of tools and a more effective way to achieve product and project success wherever your career takes you. Does Innovel Offer Discounts for Training? Public Training Group Discounts: Yes, we provide discounts to groups of four or more. We recommend teams train and learn together. Recommend our training programs to your colleagues then contact us for more information. Private Training Group Discounts: We recommend private training for groups of 10 or more and can arrange a group discount for your team. Private team courses are held onsite at your company for groups of this size. We tailor some of the material and examples so they are more relevant to your situation. Contact us for more information. Early Bird Discounts: We provide discounts for people who sign up early. These seats help guarantee the course will run. You can get the highest discount by signing up more than 21 days in advance. 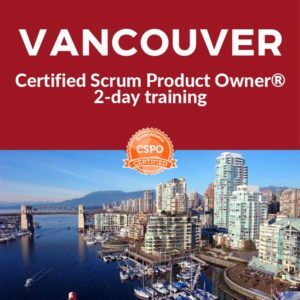 Combined Training Discounts: At times we run Certified Scrum Master and Certified Scrum Product Owner training back to back in the same location. If you register for both course you can save $200. Check our public course listings or contact us to arrange a back to back training at your company. 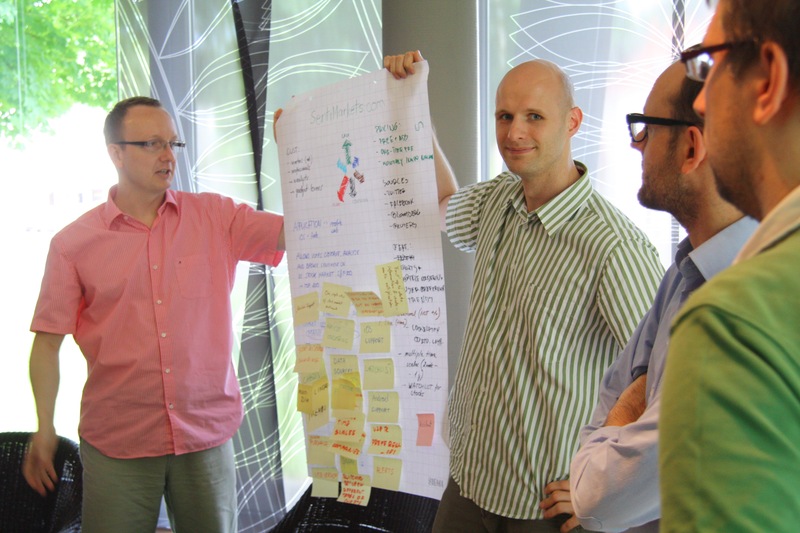 We do guarantee that our Certified Scrum Master workshop will be an engaging experience that will give you the knowledge and confidence to start implementing Scrum and Agile in your organization. They did not meet the trainer’s expectations of attendance so they are ineligible for CSPO status. After the training they did not follow directions in the Welcome email from ﻿﻿the﻿﻿ Scrum Alliance inviting them to set up a profile to gain access to the online CSPO test. Don't see your City listed or would prefer a private training for your company? Let us know. We travel!